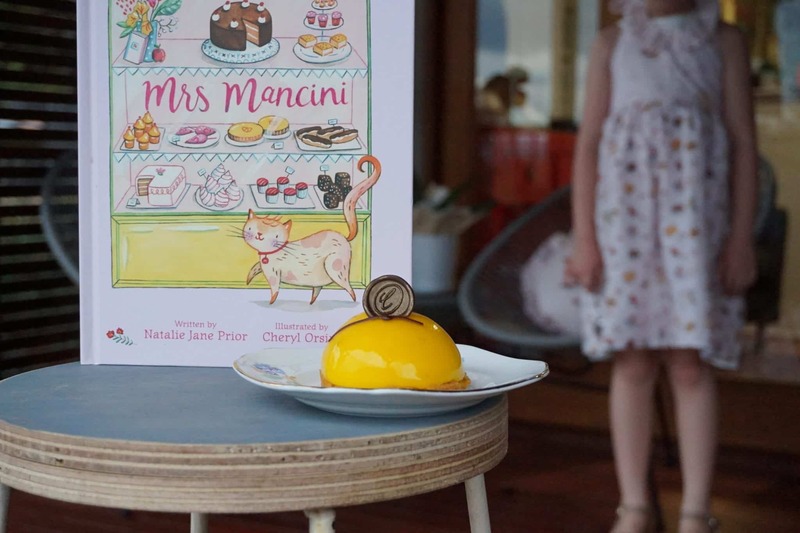 ‘The Tales of Mrs Mancini’ celebrates the wonder of cake and the magic of friends to solve most of the worries of the world; it is pure creamy, sugary delight and you can read my full review here. 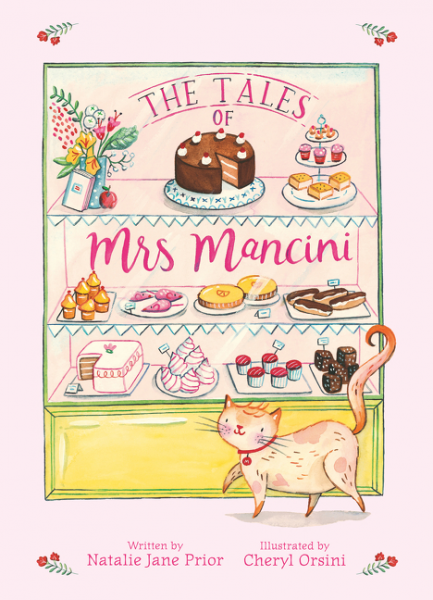 Click on title link or cover image to purchase ‘The Tales of Mrs Mancini’. 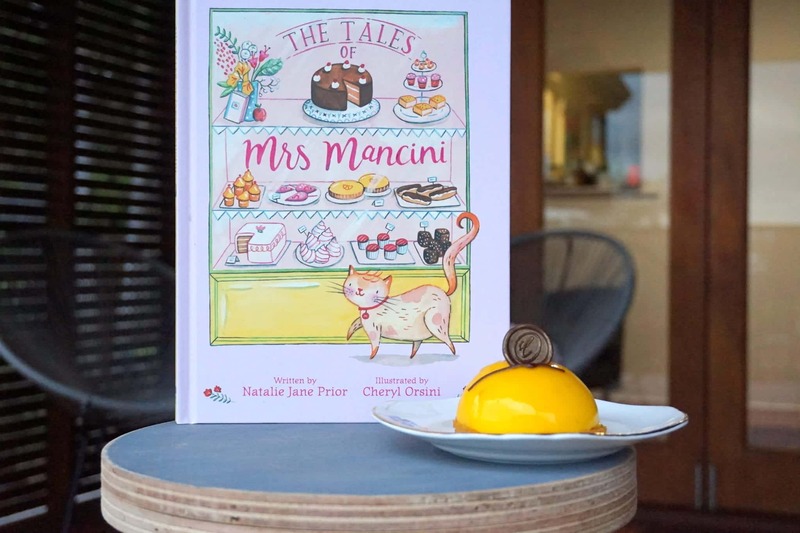 ‘The Tales of Mrs Mancini’ is the perfect book gift for 2-6 year olds AND Natalie Jane Prior and Cheryl Orsini have a stack of printables on Natalie’s website which can be used to create your own Mrs Mancini Patisserie, complete with Mrs Mancini money and even a little purse. 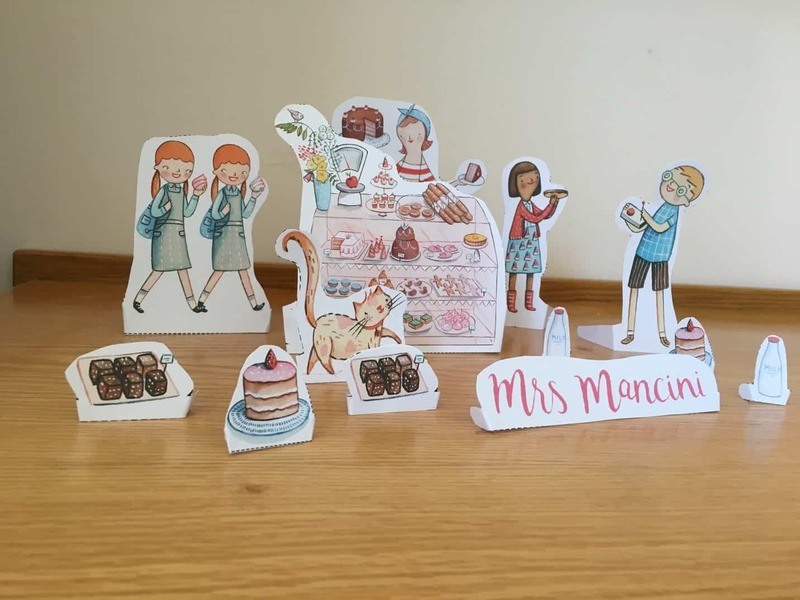 I’ve put together a ‘Mrs Mancini Gift Pack’ for my nieces, which contains the book and all the printables printed on white photocopy card, plus glue, scissors, pencils and some cute washi tape and pom poms to decorate. 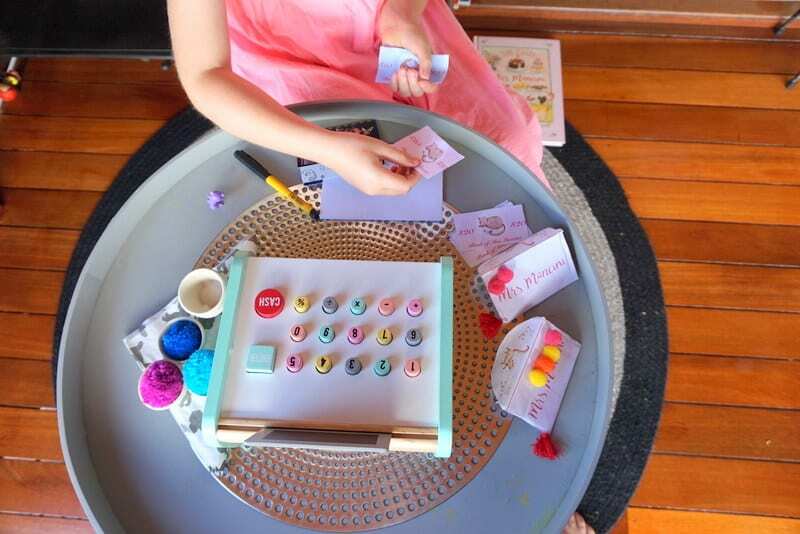 You can find all the printables on Natalie’s Makerspace Page here. 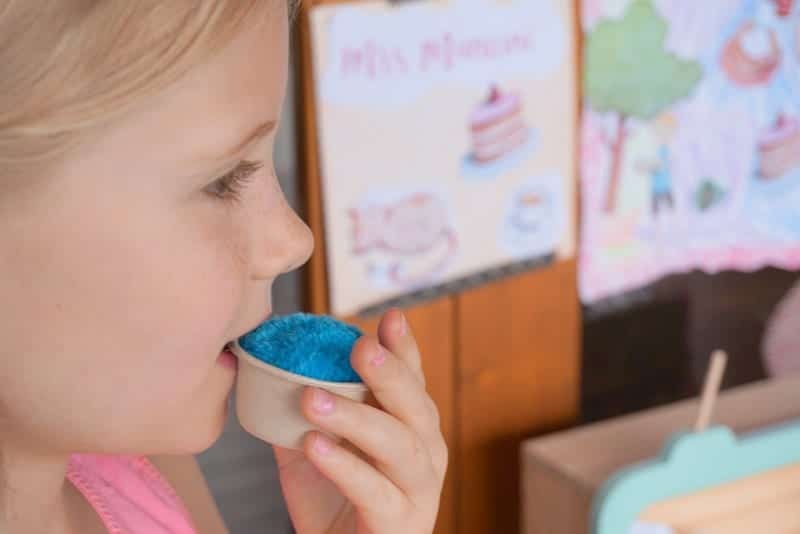 Welcome to Mrs Mancini’s Shop! 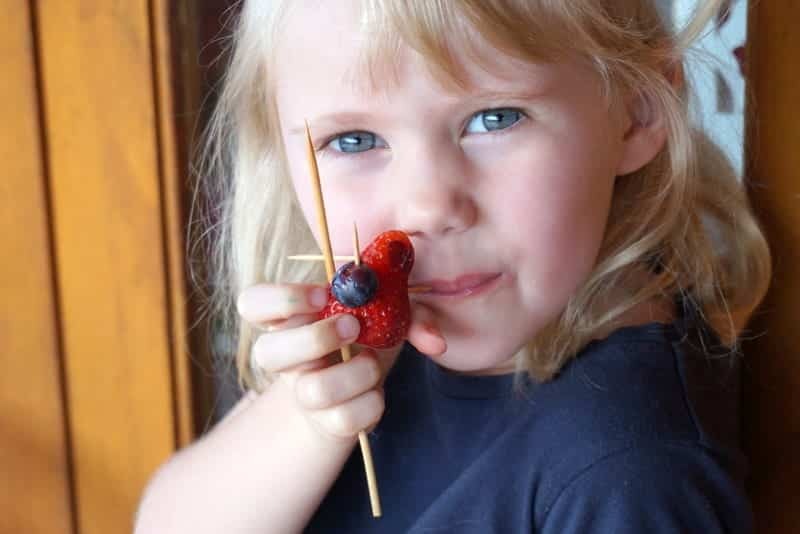 You can also add fabric, and simple to sew pre-printed patterns, through Spoonflower. 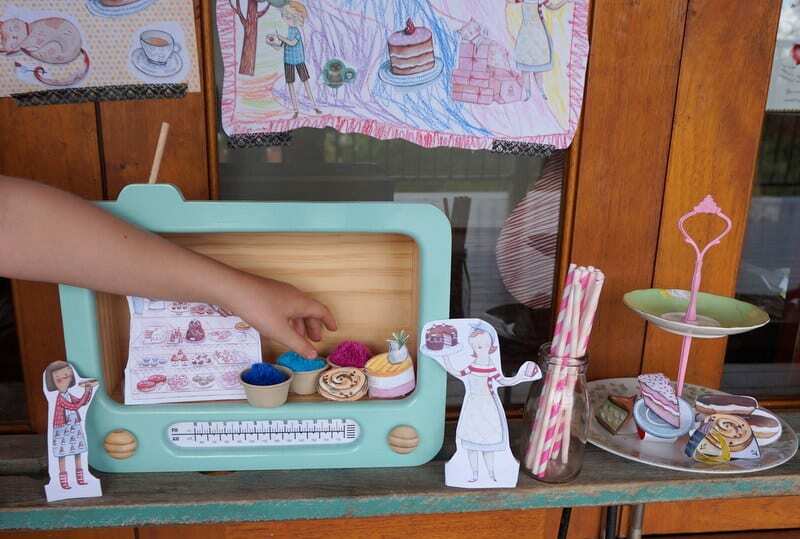 The ‘Natalie and Cheryl Shop’ is here and it even contains some librarian fabric, which if you look closely you may recognize as me with my pink hair – I am FABRIC people – technically I could make a ME doll! Their fabric and sewing projects are just utter picture book genius, because who doesn’t want to wear endpapers and children’s book illustrations? Natalie and Cheryls previous book, ‘The Fairy Dancers’ was used for ChickPea and PudStar’s bedroom and it remains one of their favourite books. I can see many a bedroom or playroom done up as Mrs Mancini’s bakery and PudStar is rather enamoured with her Mrs Mancini tote bag and her dress, which is actually an apron (purchase fabric and pattern here), but far too pretty to be relegated to the kitchen!